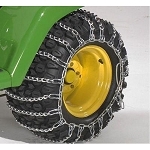 Tire chains are a necessity if you're going to be driving your John Deere vehicle in muddy, snowy, or icy conditions. They offer improved traction and have a much longer life than cables. As a premier supplier of John Deere parts and accessories, GreenPartStore carries a huge selection of tire chains for any John Deere vehicle at competitive prices. 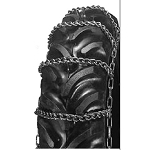 Choose your tire chains below or order John Deere tire chains by tire size by clicking here. 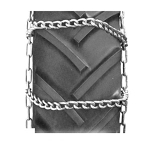 All tire chains include installation instructions. Tire chains will make all the difference when trying to move large quantities of snow, as well as performing other tasks in slippery weather conditions. If you have questions, please feel free to contact GreenPartStore for more information.